Early last month the German midfield magician, Mesut Özil, was officially unveiled as an Adidas player, after much rough and tumble and a few trips to court. That is however all water under the bridge now and the Real Madrid profile has now participated in an Adidas video, where he is welcomed to the Adidas family, by some of the brands biggest athletes and the Predator icon Zinedine Zidane. 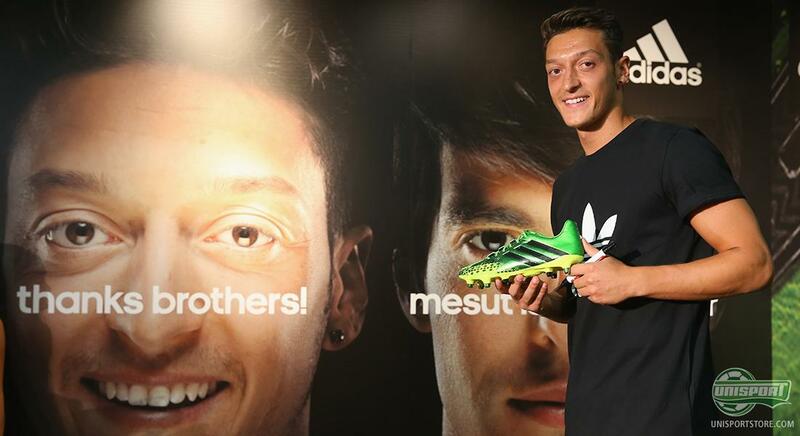 There was no longer any doubt were Mesut Özil belonged, after we was unveiled last month, as a new Adidas player. The German brand has a proud tradition and has through the years been the preferred brand of an amazing list of legendary players. One thing all these players have in common afterwards, is that they would always feel at home in the big Adidas family. Özil was presented in grand manner in Madrid, where the brand with the three stripes had spared no expense for the event. 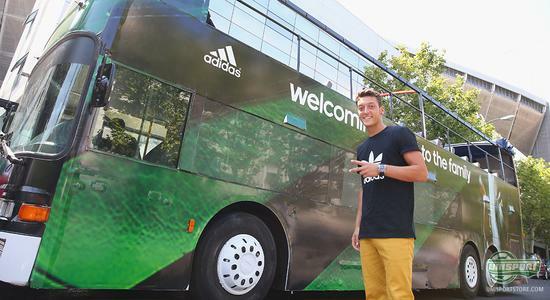 After a press conference in the Adidas mega store, where a very happy Özil showed off his new boots, they hopped on a special Özil bus, which Adidas had made for the occasion  like we said, they spared no expense. The video Adidas have made for Özil was also very cool, with the German being welcomed to the Adidas flock with open arms, by his Real Madrid teammates and national team colleagues, who naturally all also wear Adidas. With them was also a Real Madrid legend, who if any, is Mr. Adidas. Zidane is still deeply involved in the production of Adidas boots and has greatly influenced the Predator model, which is the boot he used to wear and Mesut Özil will use from now on. Adidas Predator LZ II is an elegant boot, which will now be on the feet of an equally elegant player. With the five Lethal Zones Mesut Özil will be in complete control, when he and the rest of the Real Madrid bunch try to wrestle the Spanish Championship from Barcelona. All areas of the game are covered with the 5 zones, Drive, Pass, Dribble, First Touch and Sweet Spot, so we can maybe look forward to seeing Özil hitting a few wondrous passes to fellow Adidas player and potential Real Madrid team mate Gareth Bale. Adidas were apparently not slow to draw on the expertise of the Germans abilities and boot knowledge, as it looks like he has already been testing a new model at training. Nobody know exactly what it is, but our guess is that it is an early version of the new Predator. Time well tell what the future holds. One thing is however certain and that is that we will be seeing the elegant tenner in Adidas boots well into the future. 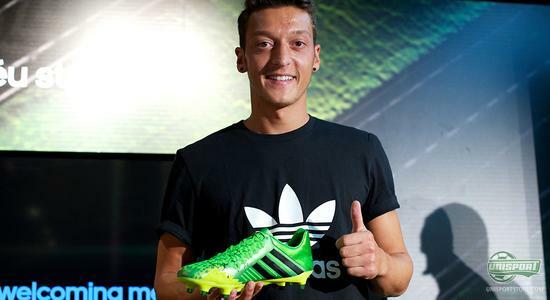 A warming gesture from Adidas to Mesut Özil, who must really feel at home already with Adidas. How do you think he will do in the Predator LZ II and how do you think about Adidas' welcome? As always we would love to hear from you in the comment-section down below, or on Facebook and Twitter.